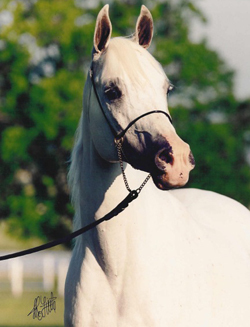 A mare of captivating beauty, femininity, and elegance, she was one of the most extraordinary mares of her time. A mare of distinction whose look is reflected in her desecendants around the world. One of the most beautiful Egyptian Prince daughters. Key ancestor to the consistent beauty found in the Queen Sheeba line. Captured the attention of all that saw her. One of our most beloved mares. 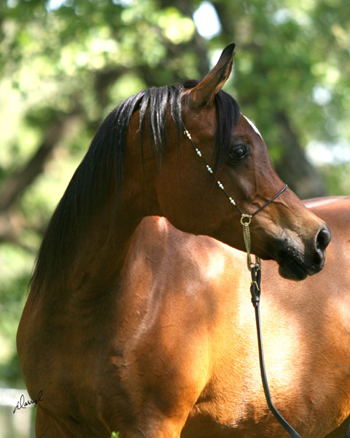 Daughter of Princess Shamira and dam of Queen Sheeba, Izara Blue CA, Bint Gabriela CA, and Queen Latifah CA. 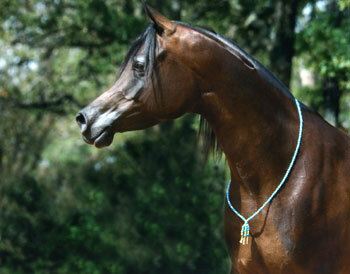 One of the most beautiful and cherished mares bred by Chase Arabians. Classic type combined with extraordinary movement and carriage. Sadly she foundered at an early age and never produced a foal. 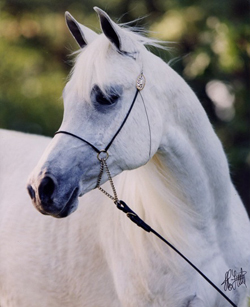 A mare of exquisite feminine beauty. 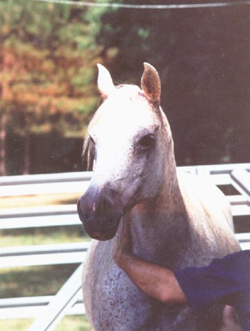 Most noted for her powerful movement, she was graceful and beautiful, gentle and nurturing - possessing all the traits we desire in a broodmare. Her daughters include Imdals Jade, Bint Shaamisa CA, Maisamisa CA, in addition to the full brothers El Allah Abu and Entebbe CA, both deceased. One of the several individuals produced from this successful cross. Extreme type and movement, his charismtic style awakened and excited those around him. 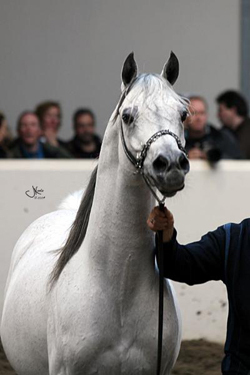 Leased by Bessewacht Arabians for two years and spent the majority of his life with his owners the Miro Family - Isreal where he was greatly admired and loved. 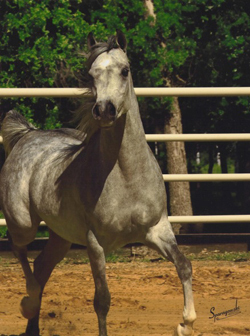 A mare of authentic Arabian type and movement often displaying the "floating trot." 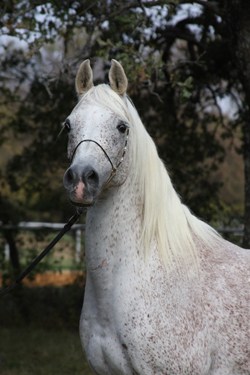 A flea- bitten grey mare of classic beauty and gentility. 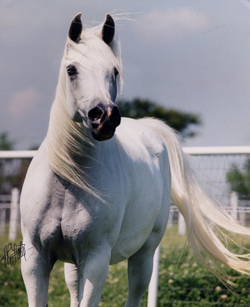 She arrived at Chase Arabians late in her life where she bestowed great joy.